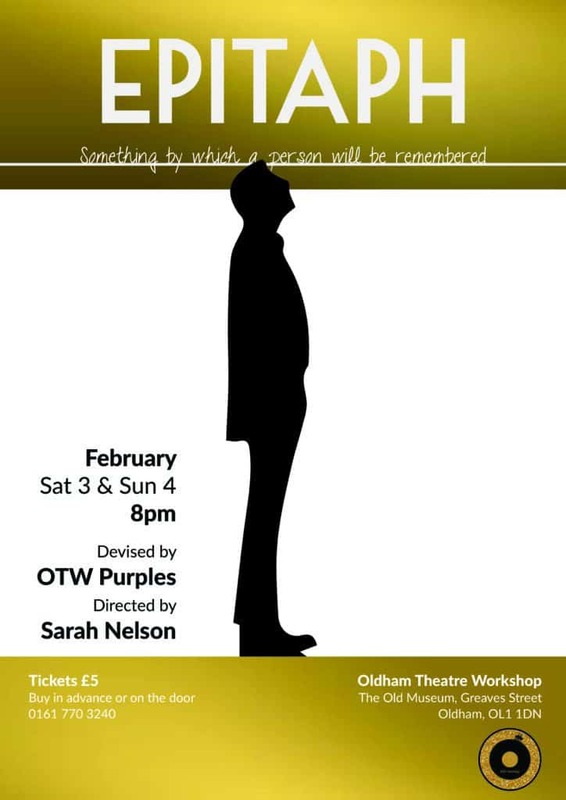 Epitaph is the 2nd production from Oldham Theatre Workshop’s Adult acting company (Purples) and once again it promises to be a night at the theatre not to be missed. The company have worked together over several months devising the piece which mixes pure imagination with real life experiences. Come and see Epitaph. Its dead good!